2016 NFL free agency: RT Bobby Massie a player the Giants should pursue? Let's look at a starting-caliber right Tackle analysts believe still has room to get better. Let's suppose for a minute that the New York Giants see second-year man Bobby Hart as a potential starter at right guard. That still leaves them with a need for a right tackle. That brings us to a discussion of Bobby Massie, a 26-year-old four-year veteran with the Arizona Cardinals who is about to hit the open market. It's tough to know what to expect from Bobby Massie. He was one of the worst pass-blocking tackles back in 2012, but he improved quite a bit after being given another chance in 2014. However, he couldn't sustain the improvement last season. He regressed in pass protection, with particularly poor outings against the Seahawks' and Rams' good defensive lines. As for the run game, Massie has been a decent run-blocker in his three seasons as a starter. You won't be sure which player you are getting by signing Massie, but at the least he could be a viable sixth offensive lineman. The Cardinals are expected to let Massie go. "In Massie's case, the writing was on the wall for him when the team drafted tackle D.J. Humphries with the 24th overall pick in the first-round of the 2015 NFL Draft. Humphries went through some growing pains in his rookie season, but he made that turn as the season went on. "Massie's played quite well at right tackle for Arizona over the last four seasons, and he's still pretty young at 26 years old. He's got a lot more to offer a team ..."
That is precisely what PFF is recommending that the Cardinals should do. "Massie has been average to above-average in run-blocking all four years of his career, but pass protection has been an issue. He's coming off of his worst season as a pass blocker since 2012, grading among the 10-worst tackles there, with a significant drop from his 2014 level." "He's actually decent. I would call him an average to above average RT. He is durable and hasn't hit his ceiling. He struggled with the mental side for a while when Arians brought a new offense," Root said. "And there is the off-the-field concern. He had a DUI right before the Super and admitted to the officer he has been drunk every day for the last 10 years. He will get beat by speed rushers. But overall, no real complaints. There are definite upgrades, but you can do a lot worse." Pressed on the DUI, Root said that Massie "always seemed like a good guy" and that there has been "no issue" with him since that incident. Massie, 6-foot-6, 316-pounds, has started 46 of 54 games for the Cardinals since being a fourth-round draft pick in 2012. 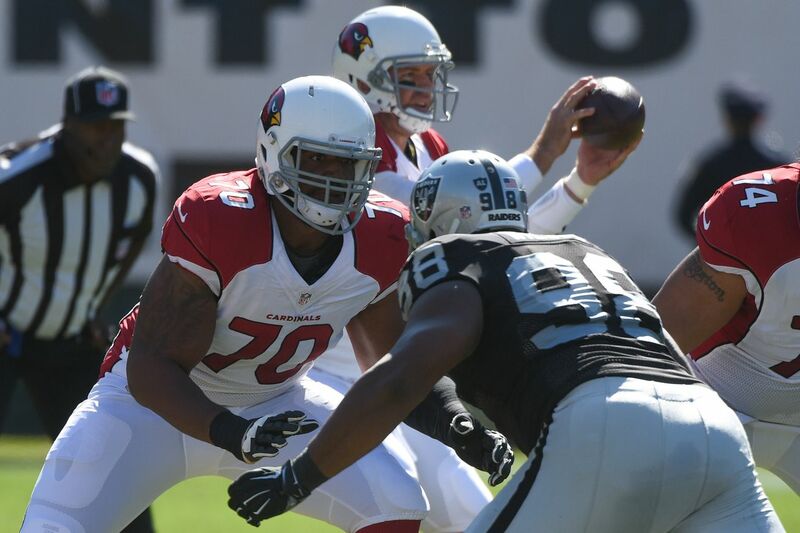 Inside The Pylon named Massie as the NFL's most underrated right tackle in 2015. In his scouting report for that post, Brandon Thorn said Massie is "a very good player who has scheme versatility, rare explosiveness and all the physical tools needed to play left or right tackle." Thorn lists some weaknesses, but concludes that Massie has "immense potential." What do you think, Giants fans? Is Massie a player you would like to see the Giants pursue, or does the weird DUI give you pause?